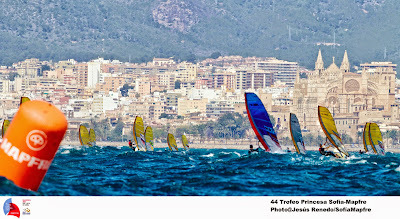 Racing started in the 44th Trofeo Sofia Mapfre, ISAF Sailing World Cup Palma, with increasing wind and waves, providing for challenging races. The 49er FX, Nacra and 2.4 missed on racing, as did some of the 49er in the blue group. In most classes the favourites have taken an early lead in the testing conditions. 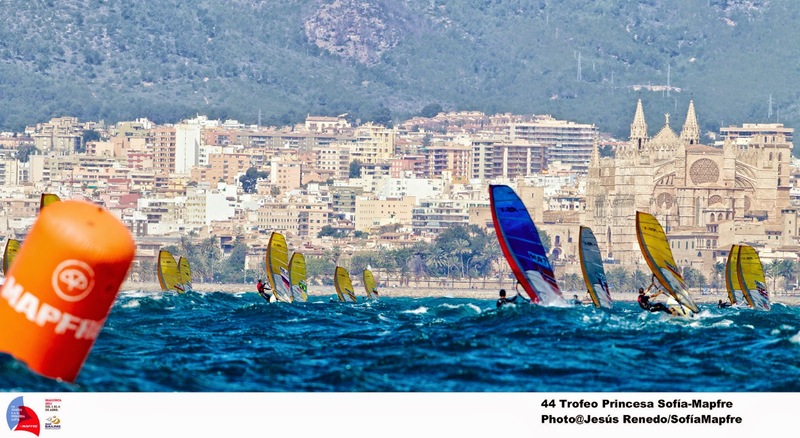 With increasing wind and waves, the 49ers have had a tough day in Palma. After two races in the yellow group, racing was cancelled for the day. The British team of David Evans and Edward Powys have mastered the heavy weather with a victory and a third place. However the Danish teams have had their word to say. Last year winner, Jonas Warrer (DEN) and new crew Peter Lang (DEN), and Allan Norregaard with Anders Thomsen (DEN) placed in the top ten in the first race, and took the first two places in the second. 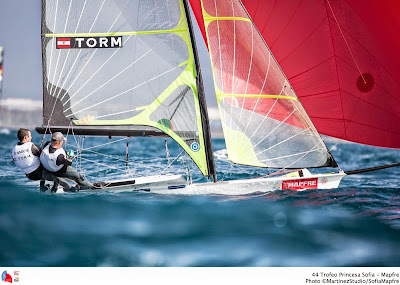 With an Olympic medal in 2008 and 2012, Denmark has put its trademark on skiff sailing.In Palma, the Danish 49ers teams are among the favourites with last year winner, Jonas Warrer defending his title with new crew, Peter Lang. They have both won an Olympic medal with Jonas taking Gold in Beijing and Peter, the Bronze in London. After today windy races, the Danish team is explaining their key to success. About the decision to team up Jonas Warrer with Peter Lang, “It was a logical choice, we believe that changing crew increase the learning curve. Allan( Norregaard) and Peter (Lang) had decided to part after the London Olympics; and it was the same situation for Jonas and Soren Hansen. However, we left it up to the sailors to decide”. 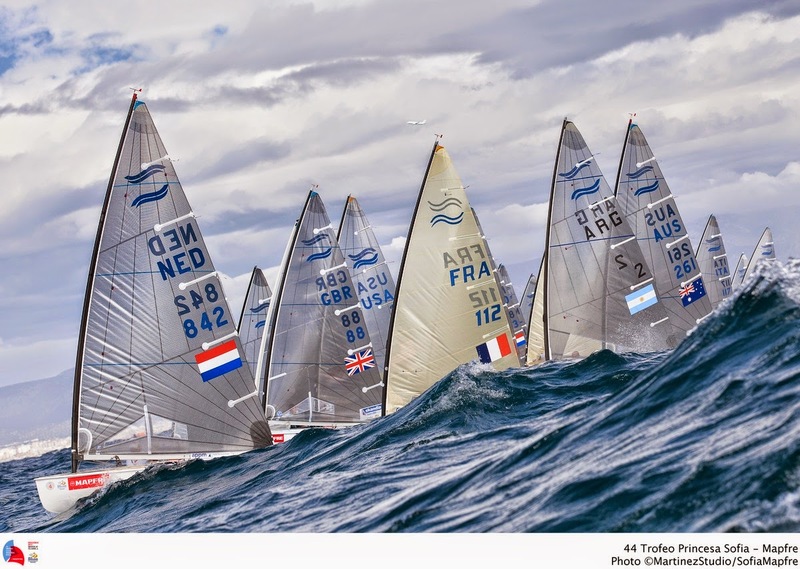 The 49er FX didn't have the opportunity to race and reveal their leaders today with unsuitable conditionS. The Danish FX team is following the same recipe as the 49ers. “We have stared with five teams and they are all training with the guys. It is working well. The girls are learning fast, and it is creating a good dynamic.” explains Danish head coach Thomas Jacobsen. 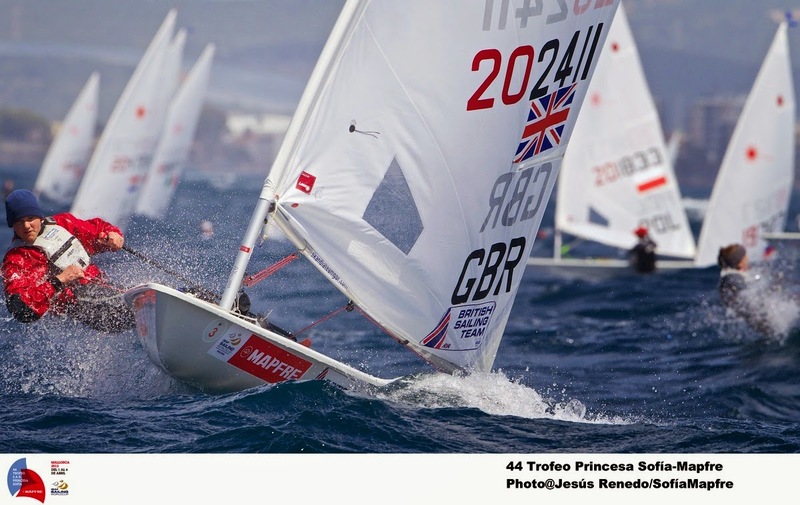 The British women sailors have dominated in the breeze. 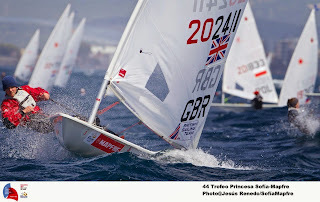 Alison Young in the Laser radial has been just as good with two victories. Anne-Marie Rindom (DEN) and Sarah Gunni (DEN) are second and third on equal points with a 4th and a first place. They are closely followed by the french taking the next four places. Classe's favourites have claimed the day in the remaining fleets. 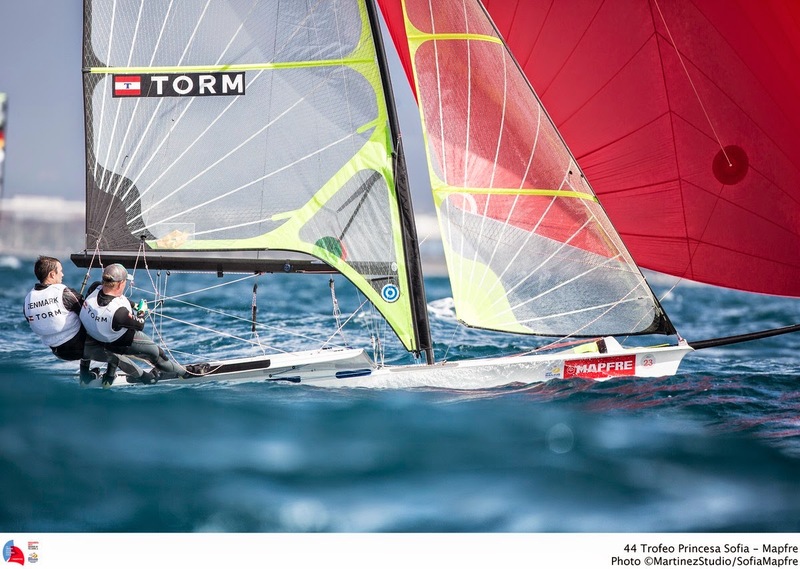 Australians and Austrians are neck and neck in the 470 Men with Mat Belcher/Will Ryan and Matthias Schmid/Florian Reichstaedter taking the lead in their respective fleet with two bullets. 2011 European and World Champion Giles Scott has opened the score in the Finn, with London Bronze medallist Jonathan Lobert (FRA) winning the second. World ranking leaders Tom Burton (AUS) and Philip Buhl (GER) are leading the Laser competition with zero points. The new format and ranking system trialled in Palma, gives 0 points for a first place and allows a race discard from the second race. This can explain why with a DNC in race one and a victory, Tom Burton has taken the lead of the fleet with zero points to his scoreboard! Toni Wilhelm (GER), Julien Bontemps (FRA) and Ricardo Santos (BRA) are leading the RS:X men with the young German collecting two bullets. Maayan Davidovich (ISR) is continuing in her good form after winning the ISAF SWC Miami with a race victory. She is taking the lead with her discard from World #1 Flavia Tartaglini (ITA). Racing was also cancelled today for the Nacra and the 2.4. The forecast for the second day of racing is for a 15 knots North Westerly breeze and will hopefully allow all classes to race. See all the results of the 1st day.